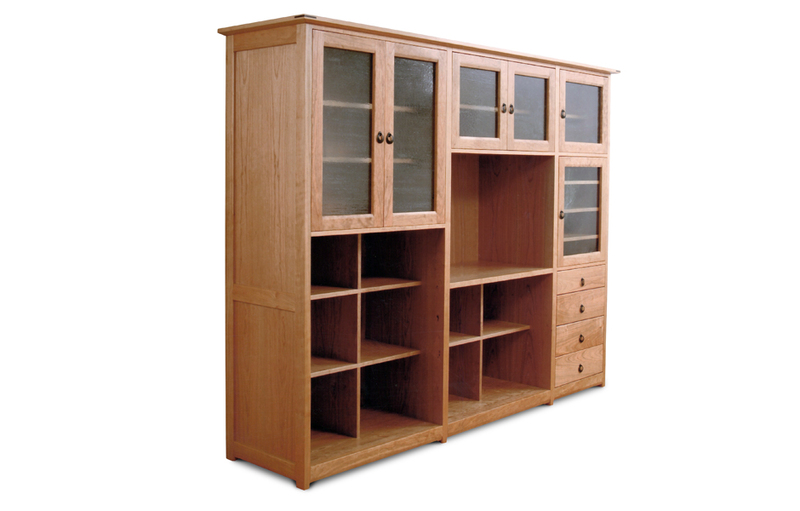 We like asymmetrical wall units that have a strong overall form and express the complexity of what they hold. This one also benefited from some beautiful handmade copper hardware in the Japanese tradition. Could be adapted for use as a dresser.